Need a hand with the boring organising part, or advice on local clubs and hotels, then just get in touch and we'll be happy to help. Did someone say fancy dress? 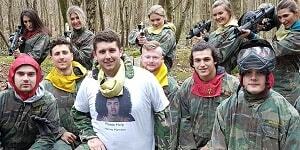 Make your stag/hen do one to remember with us! What better way to show your best buddy how important their friendship is to you than dressing them up in fancy dress and chasing them through woodland with guns all day!? And if you forget to bring some don't worry, we'll have the perfect pink tutu to suit. 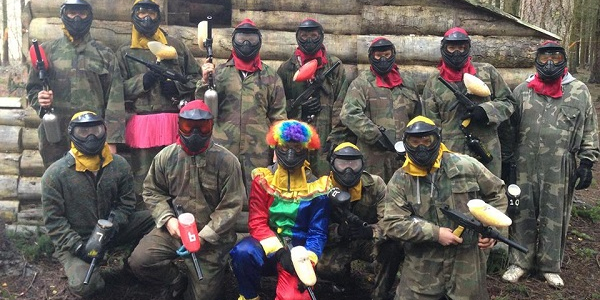 During your paintballing party you will not only be having fun and making memories with your best mates, but that picture of the stag paintballing in his pretty dress will be perfect for the slideshow during the best man's speech! Special requests or ready to book? We are here to make organising your day as simple as possible. Whatever you need help with do not be afraid to ask. 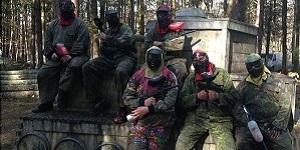 If you are travelling away for your stag/hen do or have a different activity booked and need to start later or finish earlier then that's no problem, just mention it when booking. To see all of our prices and special offers then just click here.